Recent news of Amazon Prime’s entry into Singapore may have consumers excited but retailers here will have to find a way around the possibility of declining sales. And should a decline occur, there could also be a trickle-down effect on the retail property scene. On the upside, heartland malls might be scoring better than those in the city centre. Suburban malls have received demand for 15,000 sq m in H1 alone, a promising sign when supply of new space was only 13,000 sq m. Local brick-and-mortar shops and malls are expected to fare better despite the entry of the major e-commerce operator. The decline of office rents however have been slowing, with a 1.1% decline on Q2 following a 3.4% fall in Q1. Prices of office units have also slowed, from a 1.4% fall in Q2 following a 4% dip in Q1. Vacancy rates may show a 12.4% increase however, due to the 76,000 sq m new office space stock in the second quarter. Property analysts are happy with this decreasing rate of decline, viewing it as a turning point for the office market. Premium office spaces such as those in Marina Bay are expected to lead the way in price recovery. The second quarter of 2017 saw the highest number of resale HDB flat transactions clocked in the past 4 years. 6,001 resale flats exchanged hands in Q2, up 32.5% from the 4,530 in the first quarter. In the second quarter, the HDB flat price index also fell by 0.1%. It could be too early to tell whether the increase in sales volume was due to the increase in government grants or the stabilising resale market, but either ways, the increase points to the market segment’s move in the right direction. Resale HDB flat prices have been falling since 2013. While the fall may not be drastic or sudden, changes in the sector are significant. No longer are cash-over-valuation prices a major point to quibble over, especially as the change in valuation procedure has increased transparency in the selling and buying process. 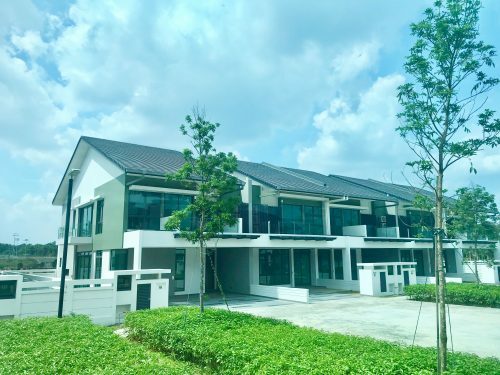 The buyer must now have a valid valuation report for the flat they are purchasing, with the valuer coming from the Housing Development Board (HDB). Following the decline since 2013, transaction volume of resale HBD flats has been increasing from 2014. In 2014, 17,318 sales were registered, with the numbers increasing to 19,306 in 2015 and 20,813 in 2016. Property analysts are hopeful that the number of resale flats sold this year will go beyond the 22,000-unit mark. They also older flats may find that the number of years left on their lease could be a significant obstacle when to comes to finding a buyer. That said, units near areas which have recently completed en bloc sales may find that they are in demand and can command higher asking prices. Foreign presence in the Government Land Sales (GLS) programme has been loud this year, with 4 out of the 8 current successful bids coming from foreign developers or entities with strong foreign involvement. And the prices they have been willing to fork out have been eye-catchingly high. Are land bids being driven up and how will they affect property prices in the next few years? A Stirling Road residential site has surpassed the $1 billion-dollar mark this year with the winning bid coming from Chinese developer Nanshan Group. The bids have been coming fast and furious, and most of the top few bids per site have been well above the median bid. Take the landed housing site in Lorong 1, Realty Park in Hougang for example, the winning bid from a Chinese developer Fantasia Holdings, was 40% higher than the median bid and in a site in Toh Tuck Road, Malaysian developer SP Setia won the bid at 30.4% above the median. Property analysts are attributing recent aggressive bidding to foreign developers’ strategic needs. Chinese developers for example are keen to direct excess manpower and materials to projects here, expanding their portfolios and all the while maximising the potential of redirecting investment monies from clients. While these land bids may seem excessive to us, the quantum price is likely much lower than that in the other territories in which these developers invest. Overly optimistic or just optimistic? Whichever the case, their optimism may rub off on the market here and for the better, at least for now. Land bids have been aggressive. More collective deals were sealed in the first half of the year than the whole of 2016. New home sales by developers have been picking up. 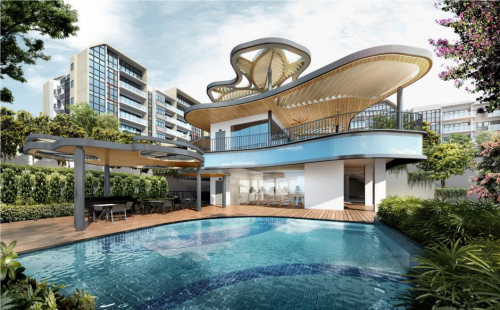 An entire executive condominium project in Hougang was sold out in a day. All good things and reasons to cheer. But property analysts are not yet satisfied that the market is recovering. Well, not completely. As activity and public response have differed in the various market segments, recovery is not considered broad-based and perhaps it is a little too soon to claim a complete turnaround. For a rebound, home prices, rents and sales volume all have to be on the ascent. While recent increase in sales of units at new property launches, it could be a mere response to pent-up demand following quarters of inactivity from developers. Home prices are still 11% lower than the peak in 2013 and have dipped 0.3% in Q1 this year. 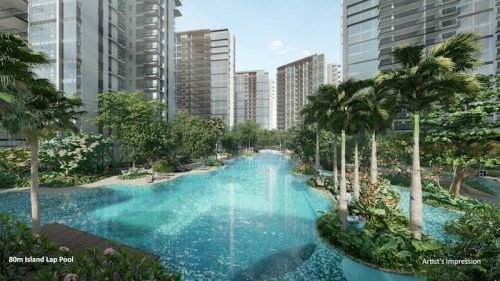 While the most recent sold-out response to the Hundred Palms Residences executive condominium (EC) in Hougang is a promising sign of things to come, property experts warn against harbouring expectations for similar response in upcoming launches. The last time a project sold out in a day was at the launch of the The Hillford mixed-use development in 2014. New launches have the leverage of marketing and hype. The resale market however still has a way to go before a complete market recovery can be claimed. For the next half of 2017, continued buying activity can be expected though home prices could remain flat as the sector takes the year to adjust and stabilize. There is hope yet for 2018 with a projected 3% increase in home prices. The positive sentiments in the real estate market has proven to be rather infectious, with a trickle-down effect seen in the executive condominiums (EC) segment as well. And this is not only because of the recent 1-day sellout of 531 units at Hougang’s Hundred Palms Residences EC. Without doubt, the figures in Q3 will likely be looking up because of this massive sale, but Q2 figures has already shown that developers have sold 954 EC units despite not having fresh launches. Buyers have come back into the fold and interest in units from previous EC launches have picked up. The unsold-uncompleted EC inventory is currently at its lowest at 2,742 units. While HDB resale prices are are somewhat of a stalemate, analysts are expecting HDB upgraders to be looking at the EC market intensively, in particular if they are yet able to afford private condominiums despite the decline. Most ECs are priced 20% to 30% lower than similar private condominium units. 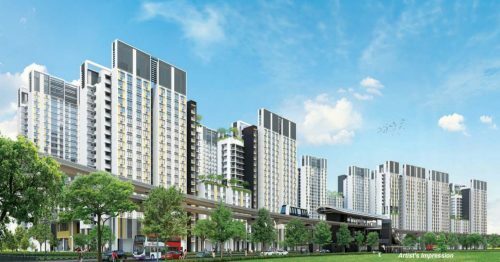 The limited number of EC units – there is only 1 EC site offered under the government land sales (GLS) programme for H2 – could also push buyers to pick up existing units. Competition from other ECs in the vicinity and the location of the development are also to be factored into the sale ability of upcoming EC launches. One of the other ECs launched this year was iNz Residences in Choa Chu Kang.